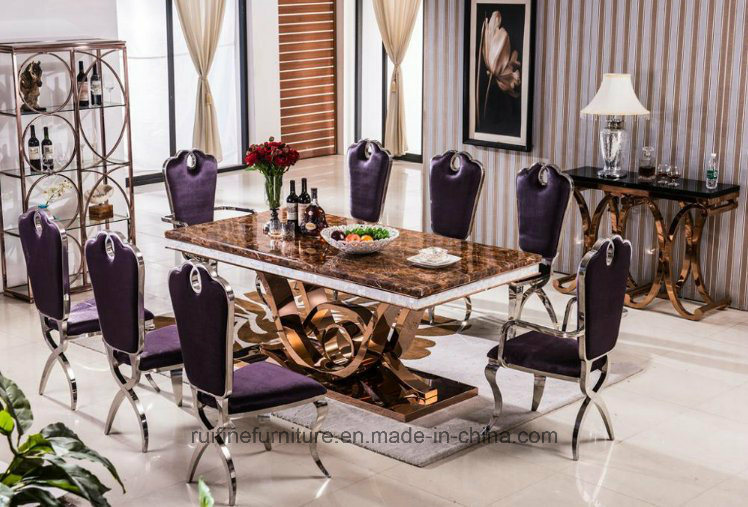 You can not find better price than our factory.We are a real factory, well managed,Â with almost 6 years experience in manufacturing stainless steel furniture. Our QC people make full inspection after welding and polishing before cleaning and packing. We have our own R&D department. You can send your designs for our quotation. We have advantage at manufacturing stainless steel furniture because we have semi-automatic production robot which can reduce the cost and control quality. Sample order accepted. We will not start the mass production untill the sample is confirmed. Orders will be arranged well, tracking it timely and keep you updated. Before loading, you can check goods, or we check goods for you. Photos will be taken and send to you accordingly.Any of your inquiry or question would be replied within 12 hours or sooner. You can order 5sets each item, then mix 3~5 items in one container. So you can test your market. 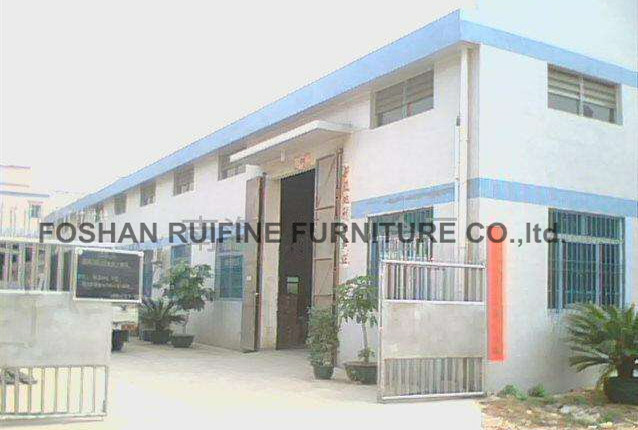 Foshan RuiFine Furniture Co.,ltd. is a professional manufacturer specialized in exporting high quality stainless steel furniture for many years. 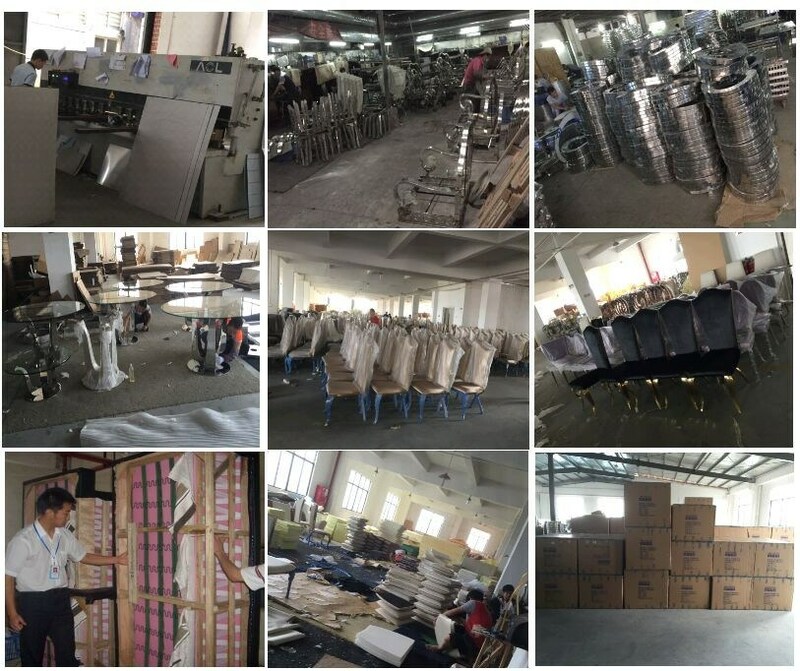 Our company established in 2011,with 6 years development,now covers almostÂ 2000sqm workshop and about 30 qualified workers who have good technolofy to produce high quality products.Our products range includingÂ stainless steel table,chair in chrome silver,golden,rose golden,grey,bronze finish etc. StainlessÂ steel--- usingÂ EPE foam, non-woven fabric, polyfoam,bubble bags andÂ carton. Glass top---Â usingÂ EPE foam,articleÂ edge,foamÂ andÂ carton. MarbleÂ top---usingÂ cartonÂ andÂ woodenÂ shelf. MDF top---Â usingÂ foam,bubbleÂ pack,cartonÂ andÂ woodenÂ shelf. Q:How can I get your catalogue and price list? 2)You can select the item on our website and advise which items you interest and what price term you would like to be offer ,EXW or FOB? The shipping cost depends on the destination port,weight,packing size,total CBM of the goods.It is difficult for us to quote you the exactly shipping fee without knowing your total quantity of the order and your destination sea port; we will quote you the good shipping cost after you decide the order. First you can choose our item on website or in our showroom,let us know the color which you want&Q'tys of each item,then we will send Proforma invoice to you for sending deposit. Q:What if there is quality problem when we get the goods? If there is quality problem when you un-package the goods, you can take pictures for our reference. Our QC Dept will look into it and give you best solutions ,like replace some parts and fittings,etc. Furthermore we will also take action to improve the quality in future.